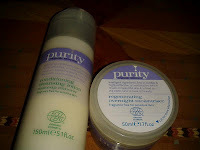 Recently, I was lucky enough to be sent a skincare goodie box courtesy of Paisley from Purity Organic Skincare, which was filled to the brim with lots of goodies. Please note that Purity Organic Skincare is not to be confused with Philosophy's Purity Skincare. The skincare range is divided into morning and evening, however Purity does say that you can reconfigure the range to suit your needs. I used the facial wash and anti-aging moisturiser in the mornings and the conditioning cleansing lotion alongside the regenerating moisturiser in the evenings for 7 days. First up, I'll start with my thoughts on the facial wash. This has a gel like consistency (which I didn't like) and when massaged unto the face becomes soap like. It doesn't lather though. This did leave my skin feeling fresh and clean afterwards, this was probably due to the aloe vera content, however it did make the dry spots on my face drier and my face was itchy after application. I think I'm probably allergic to something within its ingredients, I can't think what though. The itchiness was short-lived and by the time it was time to moisturise, my face had stopped itching. 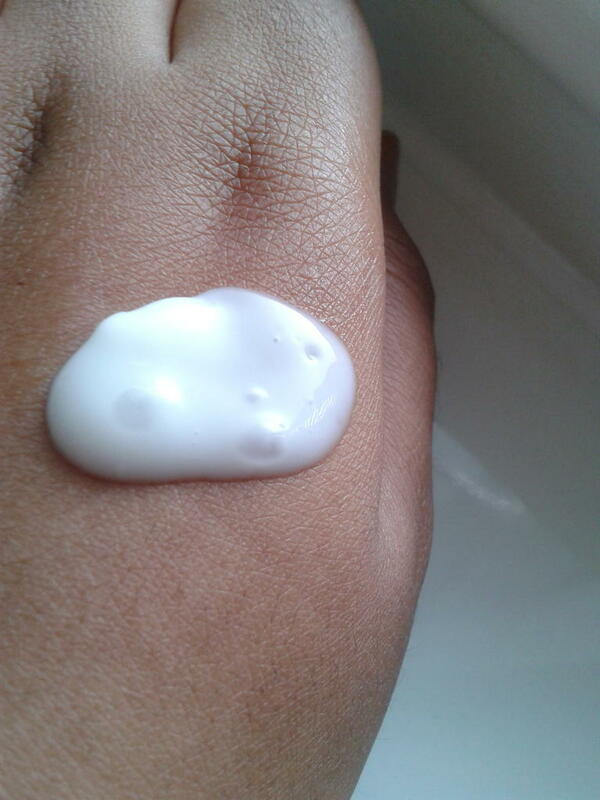 The anti-aging moisturiser is quite thick and is more like a cream than a lotion, in that its consistency is not very liquid like. I'm not really a fan of the smell of it, which is the case for almost all of the products in this range. As all their products are fragrance-free, and I'm a very scent-orientated person (as I'm sure most of my regular readers will have guessed by now), I wasn't really keen on the smell of the range. For those of you who are not too bothered about smells, this won't be a problem to you, it's all down to personal preference really. Having said that, I did like the smell of the anti-aging serum and mask, but we'll get to that later. The conditioning cleansing lotion did not remove all of my traces of makeup on the first attempt, however on my second attempt it did. The directions indicate that you can either rinse with water or remove with cotton wool. Having tried both suggestions, I recommend that if you're wearing makeup then you remove the facial wash/ cleansing lotion with cotton wool/pads/balls (or whatever type you prefer). I've been using cotton balls and they've been working just fine. If you didn't wear makeup or do anything that you think would've made your face really dirty, then rinsing with water will be just fine. The regenerating overnight moisturiser is (my favourite item in the range). You'll have to massage this into your skin very well as it's very thick. 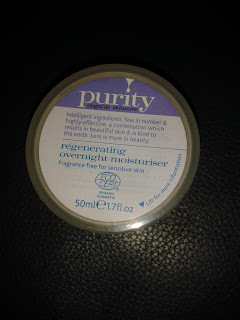 I loved the thickness and richness of the product as my face felt really moisturised after application. Due to its thickness, I wouldn't recommend for those with oily skin. On day 3, I used the exfoliator for the first time. 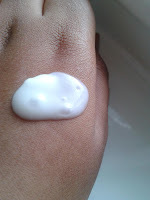 The exfoliator did leave my skin really soft, when I say soft, I mean super soft, like soft as a baby's bottom soft. However, it also left my skin red and blotchy. The anti-aging serum & mask definitely wins the smell contest. Although this is fragrance-free like its brothers and sisters, this one actually smells nice (whilst in the container that is). It doesn't smell as nice, when it goes on your face but hey, you win some, you lose some. This mask is really good at cleansing, and as it's not too harsh I think you could get away with using it every day/ every 2-3 days as required. I'd recommend using it after using one of the cleansers to remove those last traces of dirt, oil, residue etc. 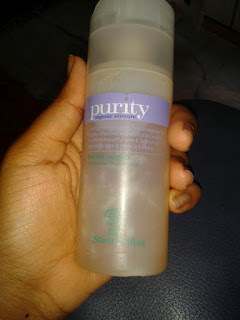 If you did use it after cleansing, then you can skip the toning step, as this would act as a toner. I would encourage you to wash this OFF very carefully, as it dries transparent. So if you're not careful, you'll think its ALL washed off, when this is not the case. Final thoughts. My favourite items of the range are the conditioning cleansing lotion and the regenerating overnight moisturiser. The former because it's very good at its job and doesn't have any undesirable side effects and the latter because it's really rich and nourishing to the skin. Also due to its richness, you'll only need a small blob, which means your 50ml container will last for quite a while. From my next post onwards, anything that is sent to me for review purposes will be marked with an asterisk (*). I love natural and organic skincare products. This one sounds like it's worth a try.